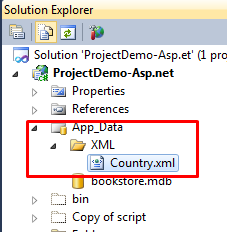 This article will show you how you can bind a dropdown list by using XML data source and how to retrieve the bind text and value on button click event using c#.net in asp.net. Some of my previous articles are as follows: Disable jQuery UI DatePicker Calendar On Button Click In Asp.Net, Bind DropDownList Using Entity Framework in ASP.Net MVC Using C#, C# Conversion of DateTime to 24 Hours Time in Asp.Net | Display 24 Hour Time In DropDownList In Asp.net, Load Partial View By Selecting Value in Dropdown Using C# in Asp.net MVC, jQuery DatePicker Calendar With Dropdown Month and Year in Asp.Net, How to Bind xml to DataGridView Using C#.Net In Windows Application, Read XML File into DataSet and Populate in ComboBox Using C# in Windows Application, Gridview Export to XML in Asp.Net Using C#.Net. 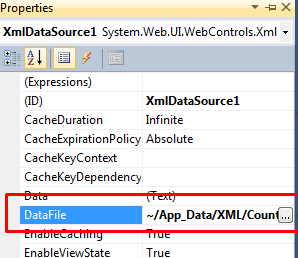 So for this article first we will create a new XML file and add this file into our App_Data folder. Now open add some xml tag in this file. Now we will add an XML data source and a dropdown list into our page and provide the path if the XML file to the XML datasource. 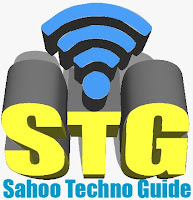 <asp:DropDownList ID="DropDownList1" runat="server" Width="226px" DataSourceID="XmlDataSource1"
In above code just check the dropdown and the XmlDataSource. 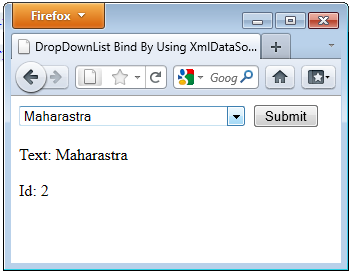 Now we will add code to get the selected value of the dropdown on button click. In above code I have assigned the I have assigned DataSourceID to dropdown and the Text field and the data value field to the dropdown. Now we have done run the page. 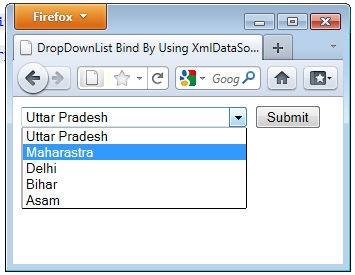 Now select the state and click on button to submit the form.